Journey Home, the latest recording from Vermont's Raphael Groten, brings the listener right back to the heyday of so-called New Age music. Composed of gently played solo-guitar compositions, the record evokes a time in the 1980s when record labels such as Windham Hill and Dancing Cat released — and sold — scores of spacey recordings featuring meandering instrumentals. As the genre slowly fell out of favor, the term "New Age" assumed negative, pseudo-mystical connotations and eventually came to mean the same thing to many as "elevator music." However, classics in the genre, such as George Winston's piano works on Windham Hill, the guitar albums of Peter Lang on Takoma and Brian Eno's synth classic Music for Airports, still shine on in the memories of those who luxuriated in the gentle calm and musical mystery of those recordings. Ackerman writes in the album's liner notes, "Raphael paints pictures of peace and contemplation and creates musical worlds that one longs to visit." Groten himself writes, "This album was created for all those who wish to journey home within." Elsewhere Groten, a longtime member of Burlington "psychotropical jazz" ensemble Guagua, describes himself as a "practitioner of sound healing." Whether you subscribe to this particular field of medical musicianship or not, it's impossible to deny that he's created on Journey Home a lovely sound bath of instrumentals. Lucky are the guitars that receive this kind of close musical attention. On "Ebb & Flow," Groten's music sounds like an exercise in Hawaiian slack-key guitar playing. The four meditative tracks that compose the titular suite "Journey Home" — subtitled "Awakening," "Breath," "Echoes" and "Arrival" are languid meditations on various open guitar tunings, played as if there is all time in the world. "Be" rings like the accompaniment to some familiar song that you can't quite place. The album begins with a track titled "Sweetness" and ends — seemingly in the middle of a phrase — with "Sweetness Reprise." So if you put the disc on repeat play, you probably won't even notice that it's started all over again. Smooth. Raphael Groten is a fine guitarist, and he plays some classy-sounding instruments on this CD. My only criticism of the 14-track soundscape is that the "string squeak" — a characteristic of brand-new strings — on some of the numbers is a bit jarring, particularly set against the lush smoothness of Groten's guitar playing. Still, every track on Journey Home is played cleanly and recorded meticulously. The sound quality of the guitars and Groten's style conjure up memories, not surprisingly, of "In Search of the Turtle's Navel," one of Ackerman's early recordings. Ultimately, the soothing sounds of Journey Home are custom made to calm you down, if that's what you like or need. However, the album does not come recommended for playing in the car while driving at night. Way too spacey! 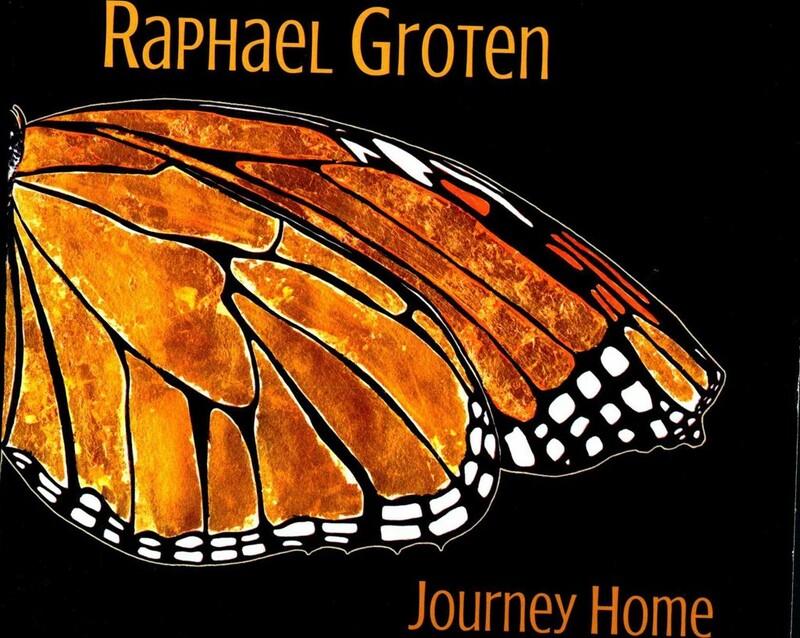 Raphael Groten presents a CD-release celebration and concert for Journey Home at Sacred Mountain Studio in Burlington on Friday, July 31. The album is available on iTunes, CD Baby and Amazon.